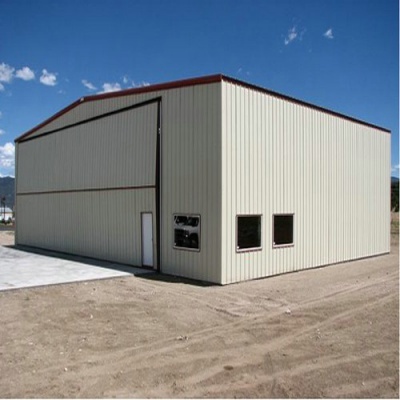 There are four main components of construction to light steel houses, they are light steel frame, wall frame, roof enclosure system and floor supporter system. Light steel frame: Steel frame (like beam, column, etc.) would be processed in the factory and assembled at the scene (project location). After processing and assembling the steel frame, the unique advantages can be summarized as being high strength, outstanding seismic-resistance and fast and easy assembling construction. Anticorrosive material would be effective utilized for rust-removal in the steel surfaces so that this process would guarantee the durable services for steel products. Wall frame: There are four various of wall plate in wall frame system, they are wall panels, interior wall plate, partition wall plate and thermal insulation block. According to air temperature of different regions, the wall of light steel structure villa can be combined into different various for enclosure system. Villas in cold districts had better have composite walls which are not only for heat preservation but also for heat insulation. By doing so, it can guarantee heat in indoor would not be absorbed or leaked by walls. That is, only 1/5 energy consumption of ordinary construction would be needed can reach the demand for indoor heat insulation. Wall enclosure system: Being taken the same design principle of wall, floor supporter system should be taken insulation, insulation, sound insulation, waterproof and moisture-proof performance in high standard condition into granted. In addition,, free styling can be accepted for housing design. Floor supporter system: It has advantages in light weight, high strength unique closed micropore structure and air insulation layers. In addition, the sound insulation effect is up to 41db and installation is easy and simply. It can also bear loads more than 200 kilograms square meter, which is far more than the standard for ordinary floor supporter about bearing capacity of 150 kilograms in every square meter. In addition, the light steel structure is a young and vitality of the steel structure system, with wide range of applications of new wall materials, with extensive use of daylighting, good ventilation. Components and parts are all automated, continuous, high-precision production, product specifications series, stereotyped, supporting technology. Each part is accurate. Efficient lightweight thin-walled profiles, light weight, high strength, small footprint. At the same time, light steel structure also has different characteristics in structural characteristics, cutting methods, welding methods, painting and other major process problems. House can be relocated, all materials can be recycled, not cause waste, in line with the sustainable development strategy.